College (Latin: collegium) is an educational institution or a constituent part of one. A college may be a degree-awarding tertiary educational institution, a part of a collegiate or federal university, or an institution offering vocational education. 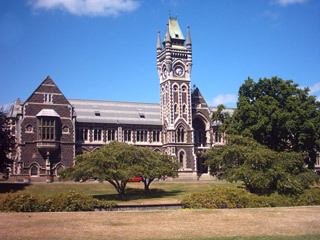 In the United States "college" refers to a constituent part of a university, but generally "college" and "university" are used interchangeably, whereas in the United Kingdom, Oceania and South Asia, "college" may refer to a secondary or high school, a college of further education, a training institution that awards trade qualifications, a higher education provider that does not have university status (often without its own degree-awarding powers), or a constituent part of a university. College Facts for Kids. Kiddle Encyclopedia.